Normandite: Mineral information, data and localities. Named after Dr. Charles Normand (b. 1963), Canadian geologist, who discovered the mineral. 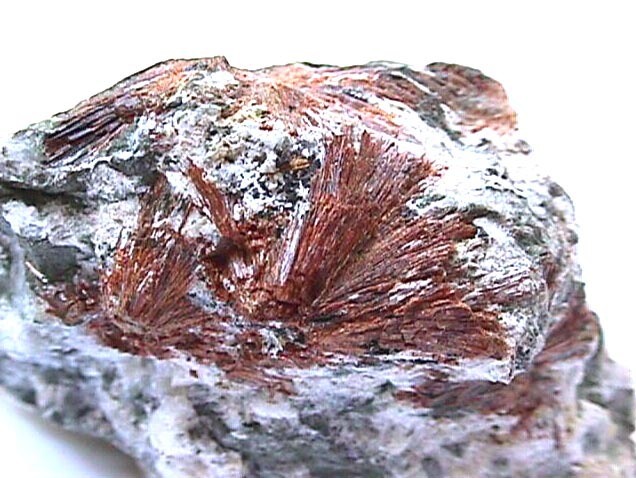 This page provides mineralogical data about Normandite. Aegirine 6 photos of Normandite associated with Aegirine on mindat.org. Eudialyte Group 1 photo of Normandite associated with Eudialyte Group on mindat.org. Albite 1 photo of Normandite associated with Albite on mindat.org. Analcime 1 photo of Normandite associated with Analcime on mindat.org. Chao, G.Y., Gault, R.A. (1997) Normandite, the Ti-analogue of låvenite, from Mont Saint-Hilaire, Quebec. The Canadian Mineralogist, 35, 1035-1039. Perchiazzi, N., McDonald, A.M., Gault, R.A., Johnsen, O., Merlino, S. (2000) The crystal structure of normandite and its crystal-chemical relationship to låvenite. The Canadian Mineralogist, 38, 641-648. The following Normandite specimens are currently listed for sale on minfind.com. Chao, G.Y. and Gault, R.A. (1997), Normandite, the Ti analogue of låvenite, from Mont Saint-Hilaire, Quebec. 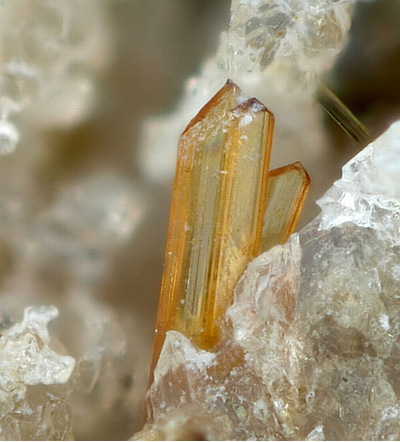 Canadian Mineralogist: 35: 1035-1040. PERCHIAZZI, N., McDONALD, A.M., GAULT, R.A., JOHNSEN, O., and MERLINO, S. (2000) The crystal structure of normandite and its crystal-chemical relationship to låvenite. Canadian Mineralogist, 38, 641-648. Biagioni, C. (2007). I disilicati di Zr-Ti-Nb-REE delle sieniti a nefelina delle Iles de Los (Guinea). Tesi di laurea inedita, Università di Pisa. BIAGIONI, C., MERLINO, S., PARODI, G. and PERCHIAZZI, N. (2012) Crystal chemistry of minerals of the wöhlerite group from the Los Archipelago, Guinea. Canadian Mineralogist, 50, 593-609. PEKOV, I.V. (2001) Lovozero massif. Published by Ocean Pictures, Moscow, 351-352. Ferguson, A.K. 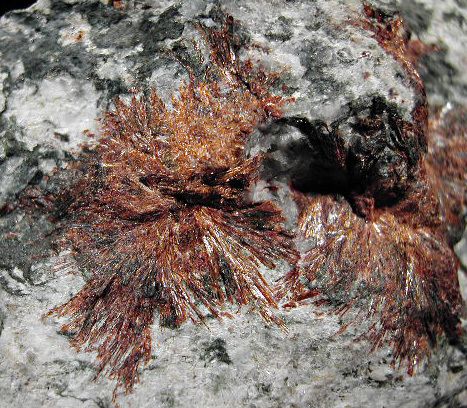 (1978): The occurence of Ramseyite, Titan-Lavenite and a fluorine-rich Eucolite in a nepheline-syenite inclusion from Tenerife, Canary Islands, Contrib Mineral Petrol 66, 15-20.